A Sojourn Suite is an exemplary alternative to a nursing home or institutional care. Our Suites are comprised of 8 residential houses. In each of these homes we provide family-style, community- based living. This fosters individuality and independence. As a member of the Sojourn family, your loved one will be valued and loved unconditionally. We like to call it the “Suite Life” – because it is! At Sojourn Suites, there is a small client to staff ratio, which helps residents form authentic relationship-based care with the Sojourn staff. The environment at each home focuses on each individual’s ability to manage their own care. We encourage independence, but care management is responsive to each resident’s needs. All of our homes are integrated into the community. With the Day Center available, Sojourn Suites is the only residential care program in Minnesota that provides daily opportunities to socialize and lead and active life within the community. 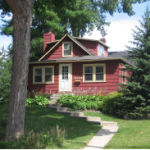 Each of our residential homes are located around the Lake Minnetonka area and are in the heart of the community. Let us help you find the perfect house for your loved one! This is a lovely 6 bedroom walkout rambler with a great open floor plan, vaulted ceilings and wood flooring. This home has 4 bedrooms on the main floor with a deck off the living room. The lower level has 2 additional bedrooms with a complete kitchen and laundry. This home has a large fenced in back yard with a lovely garden. 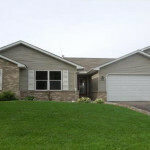 Located near convenient Waconia shopping and community center. 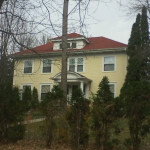 This grand home was built in 1910 and was the original nursing home in Excelsior before becoming a single family home. It was the family’s wish that Sojourn use this home to once again give excellent care to the people of Excelsior. Today, five residents call this their home. This charming 5 bedroom Cape Cod home sits on a sunny knoll overlooking the Black Lake Channel of Lake Minnetonka. The cozy fireplace in the living room is a favorite spot for visiting as well as the three season porch and shaded yard. 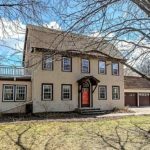 5845 Country Club Road, Shorewood Our Shorewood home is a 7 bedroom Dutch Gambrel home built in 1900. This house is situated on a stunning 2 acre lot facing the Minnetonka Country club. All the original floors, woodwork, fireplaces, and lighting fixtures have been polished and refurbished to their original perfection to welcome our residents home. 18900 James Avenue, Deephaven Historic Deephaven is where this community based residential home can be found. This sunny and spacious 6 bedroom home is located on a quiet cul-de-sac overlooking lovely Lake Louise. 5724 Lynwood Boulevard, Mound This unique 4 bedroom home is conveniently located within walking distance to downtown Mound and all its amenities. 3645 Lyric Avenue, Orono Sojourn’s first community based home is a contemporary 4 bedroom town house located in a quiet neighborhood. 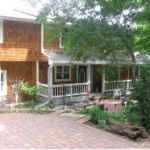 It has a charming wrap around deck overlooking a wooded backyard. 2895 Westedge Boulevard, Mound Updated inside and out, this 8 bedroom rambler on the “West Edge” of Mound welcomes you home. In the living room, there is a lovely fireplace that overlooks the shaded backyard, gardens, and deck. The family room is a spacious gathering place for family and friends. The lower level is a walk out and has two bedrooms, a separate entrance and its own kitchen. 4720 county Road 92, St. Boni Information Coming Soon!